For those of you not so au fait with the UK media landscape here’s a quick wikipedia roundup of the Spectator’s outlook and history. 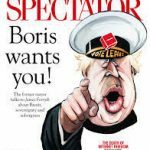 The Spectator is a weekly British magazine on politics, culture, and current affairs. It was first published in July 1828. It is owned by David and Frederick Barclay who also own The Daily Telegraph newspaper, via Press Holdings. Its principal subject areas are politics and culture. Its editorial outlook is generally supportive of the Conservative Party, although regular contributors include some outside that fold, such as Frank Field, Rod Liddle and Martin Bright. The magazine also contains arts pages on books, music, opera, and film and TV reviews. Editorship of The Spectator has often been a step on the ladder to high office in the Conservative Party in the United Kingdom. Past editors include Boris Johnson (1999–2005) and other former cabinet members Iain Macleod, Ian Gilmour, and Nigel Lawson. In late 2008, Spectator Australia was launched. This offers 12 pages of “Unique Australian Content” (including a separate editorial page) in addition to the full UK contents. Readership of The Spectator Australia was revealed through a court case as being 3,000. 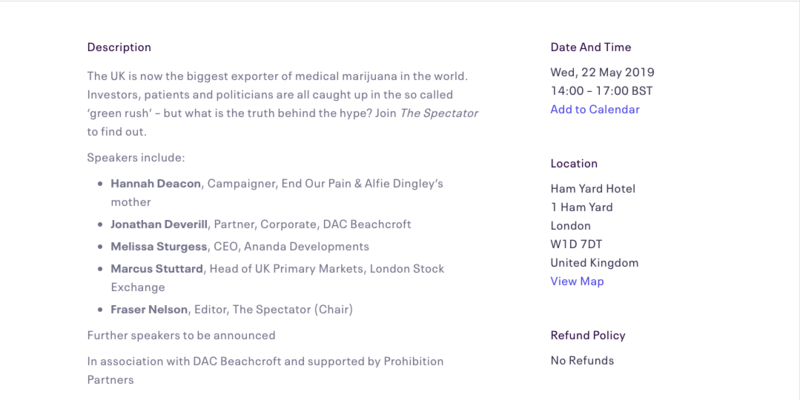 And here’s the conference they are presenting in London on 22 May. Ring any bells with what’s already happened in the US with regard to some very senior Republicans !